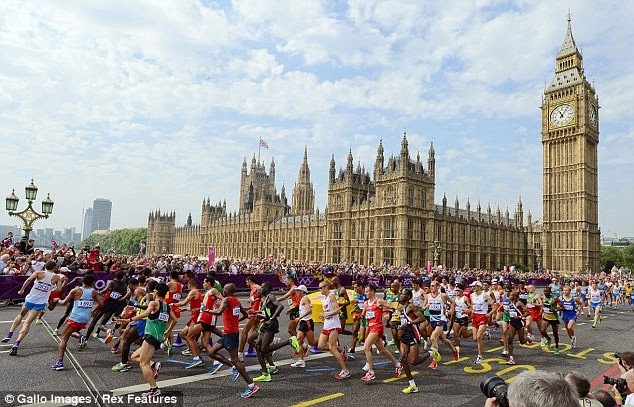 wasatch and beyond: Jake's Winter / Spring Racing Schedule - London Marathon! 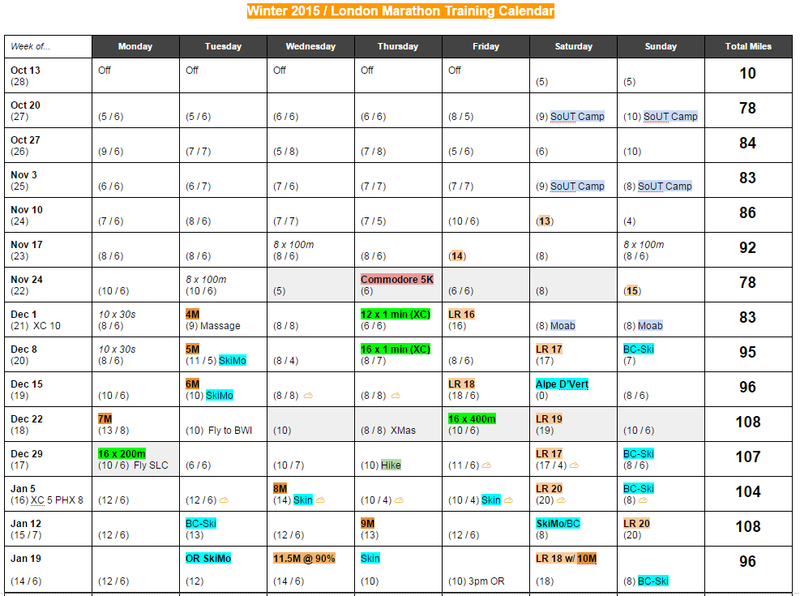 Jake's Winter / Spring Racing Schedule - London Marathon! The obvious big update here is that I'm entered in April's London Marathon! Getting a spot in the race was not a sure thing and wouldn't have happened without some major help from the team at Saucony. As always, I'm so thankful for their support over the past four years. Some awesome folks at Saucony went out of their way to make this dream possible (they know who they are) and I definitely owe them one! WHOA. 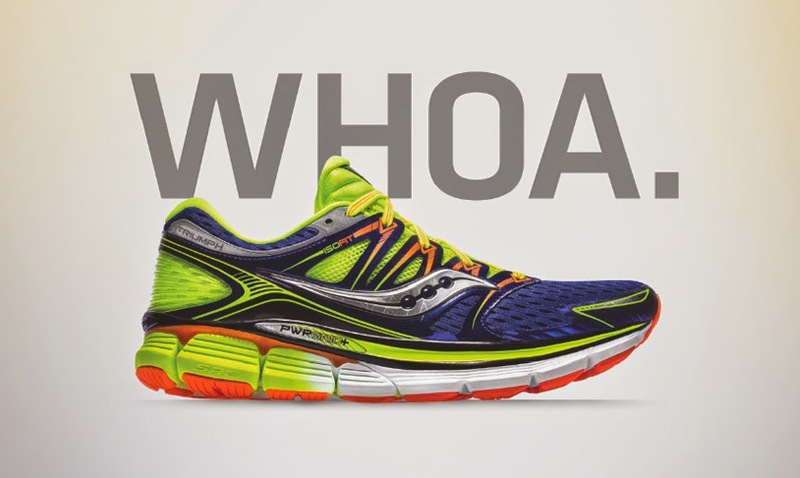 Saucony is an awesome company. I'm very proud to represent them. My plan for the London buildup is to be conservative. I don't think I'll be able to knock out any very impressive tune-up races along the way nor will I even attempt to do the specific training for a fast XC race of half-marathon. I'm going to use these next three months to get marathon fit, get healthier, and be ready to pop one really good one over in London. I'll keep my running miles a lot lower than what I did leading up to Chicago (but considering the time spent uphill skiing, the training volume will probably be about the same). Two stress days per week is plenty - not two stress days plus a long run... the long run IS a stress day and I'll probably be incorporating a lot of quality miles / workouts into my longer efforts. I'd rather be a tiny bit under-trained than straddling the razor's edge and risk compromising my race performance, as I've done in the past. I have a tendency to get a little crazy 3-5 weeks out from a marathon when I start to feel like I'm in good shape. It will be important to be sensible during that time period (late March / early April). Chicago took a lot out of me - I raced hard in a compromised state of health. My hamstrings took a beating, and I still feel the effects from time to time. So on that note I finally broke down and I'm going to start seeing Andrea's physical therapist next week, in hopes that he can help me get to the line 100% healthy this time around. I re-started some upper body strength training about a month ago, which I believe helps me hold form late in races... and get this - stopped eating ice cream altogether. The other noticeable update is that the race schedule is now split - there's a running AND SkiMo component. Andrea and I took the plunge and bought our own SkiMo racing equipment - lightweight skis, boots, bindings... and are in the process of fashioning several pairs of racing skins (I even had a power tool out the other night and didn't seriously injure myself!). We have a long way to go before we are really competitive in that sport (I mentioned that a bit in this post) but we are both excited about making SkiMo a big part of our winters from now on. Check out some of those races I linked above (CROWBAR / Powderkeg). The main reason I ski is because I love it - not for any training benefit. Drop in and float through some deep turns on a powder day and you'll know what I mean - it's a downright spiritual experience and hard to explain to someone that has never done it. I'm at a decent fitness level right now but nowhere near race form. I've been averaging 90-100 miles per week for the last couple months, I've built up my long runs to 20 miles, and I've slowly increased the length and dropped the pace of my tempo runs. Here's the training summary from Chicago leading up to now (13 weeks out from London). I feel like I can be ready for my best marathon to date in three months. I'll be the first to admit that I should have just taken 2+ additional weeks completely off after Chicago. At the time, however, I was thinking I going to bounce back and run CIM (in an effort to boost my chances of getting an entry to London), but I was too beat up from Chicago to do that. In hindsight I delayed my recovery quite a bit, to the point where even in December, I started to write off the idea of being able to run a fast Spring marathon. Hopefully I'll learn from that mistake and May will be a very low mileage month. So that's where I'm at. Next stop on the running circuit = the USA Cross Country Championships in Boulder. What a terrible and painful choice for a season-opening rust-buster! It should be a really good experience and fun weekend with friends - that's why I'm headed there. No ice cream? I'm sorry, but that just is not going to happen in this corner of masters land. And pie. Pie is life. I'm allergic to gluten but I will still eat pie. I hope to die with pie on my face. Blueberry. But seriously, congrats on getting in! It will be fun to watch you. I fully support your incorporation of skiing into your training. Life is way too short to not do what you love. I really believe in finding joy in training, no matter how unorthodox the plan.